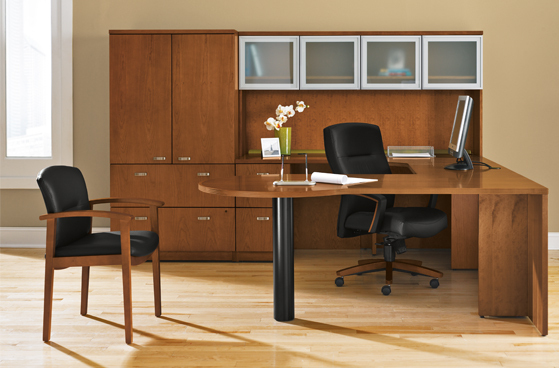 Having the right office furniture is an easy way to convey the message that your organization is professional, reliable and cares about those it serves. Sierra School Equipment is proud to offer an array of options for quality modular furniture systems and freestanding furniture. Modular furniture lends itself to a high level of functionality, as you can move and add components with an optimal level of flexibility. Freestanding furniture provides a more traditional, classic approach. 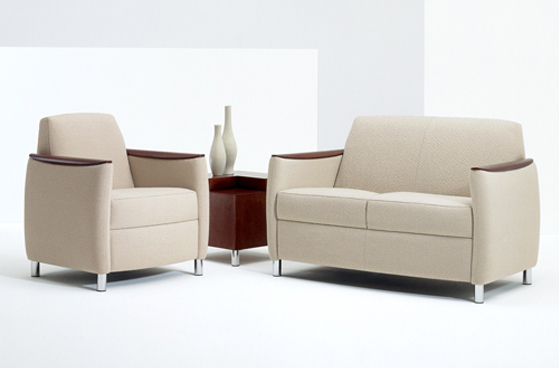 All of our office furniture is geared towards comfort, style and exceptional quality. 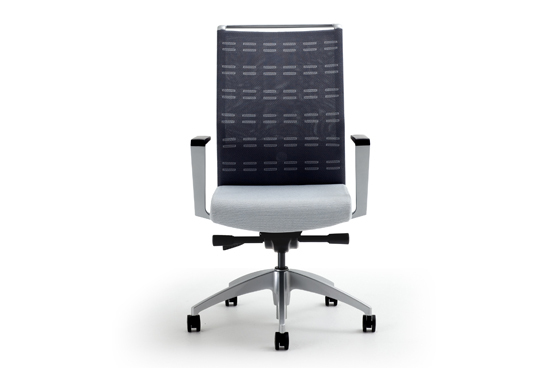 Furthermore, we aim to offer our clients office furniture for every price point and need, whether you are seeking desks, seating, filing systems, storage or ergonomic accessories. Our dedication to serving our clients is reflected in our 60+ years in business. A key part of that service includes the fact that we consistently offer a wide range of customizable options. Sierra School Equipment will work within your budgets in order to accommodate your specific furniture needs whether you opt for freestanding furniture or modular systems. 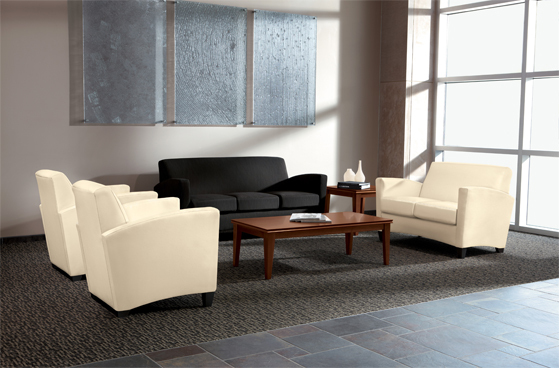 Functional, appropriate and attractive lobby furniture is simply essential for any organization. Comfortable and effective public seating has other key benefits as well to any working or learning environment. 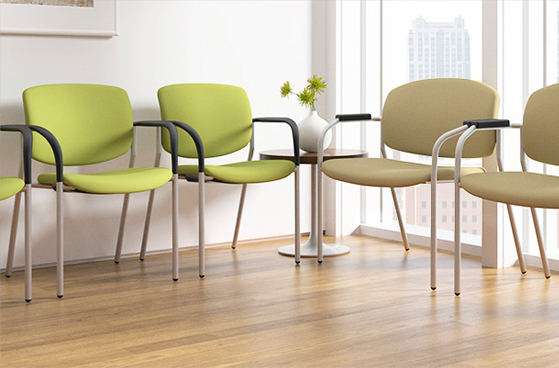 Sierra School Equipment has provided lobby furniture for a wide variety of types of organizations including corporate offices, hospitals, doctor’s offices, surgery centers, and educational institutions. Options for your lobby range to everything from lounge seating, serpentine sofas, stools, rockers, benches and occasional seating. You can select modern or traditional styles. 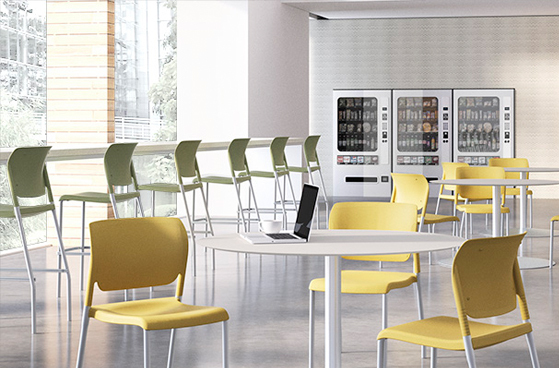 Public seating areas can set the right tone and style for your entire office. 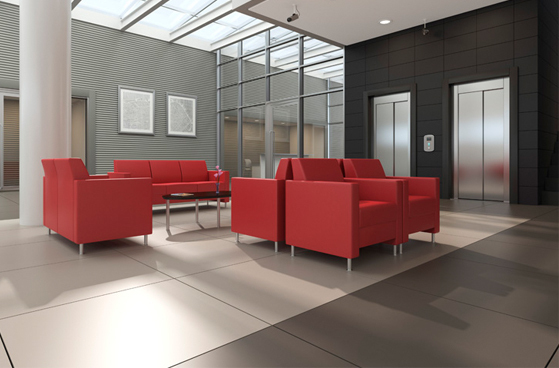 Whether you want your lobby furniture to be sleek, distinguished or understated, we can provide the perfect style to meet your needs. Contact us today to learn more about how we can customize our offerings to your requirements and budget. 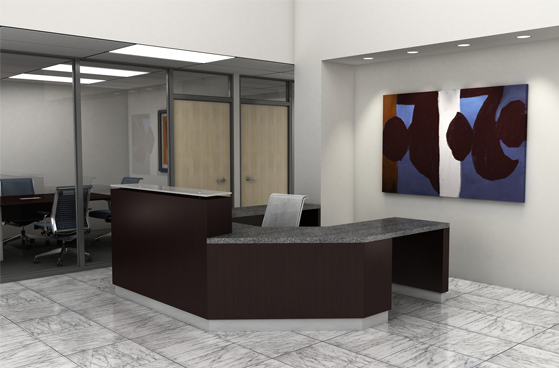 The right receptionist and reception area can do wonders to establish the tone for your organization. 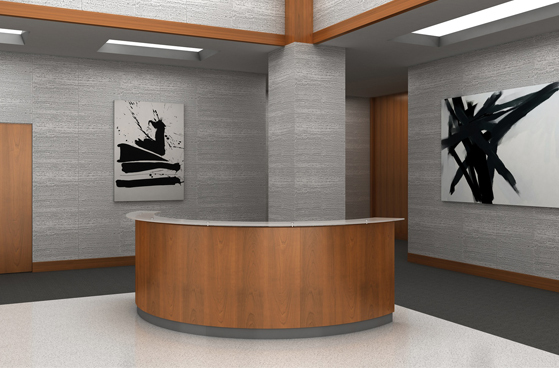 Your reception area is a customer’s first interaction with your company, which means having a professional reception area is vital to shaping an optimal first impression. 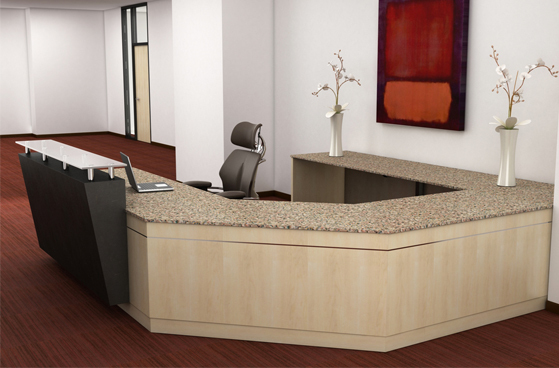 We can provide your organization with high quality reception areas, ranging from built in counter and panel systems to craftsmen type desks. 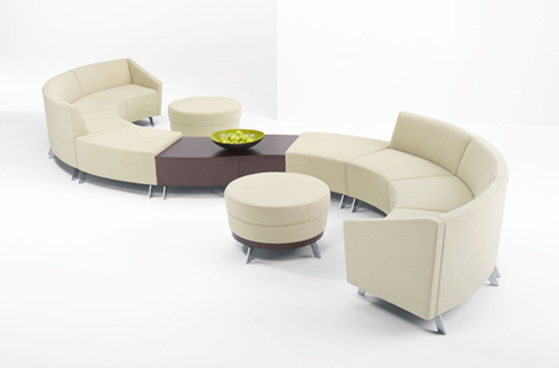 All of our reception furniture options have been selected with a keen eye towards quality, durability, style and value. We will work with you to select the optimal veneers, finishes, and accent materials. 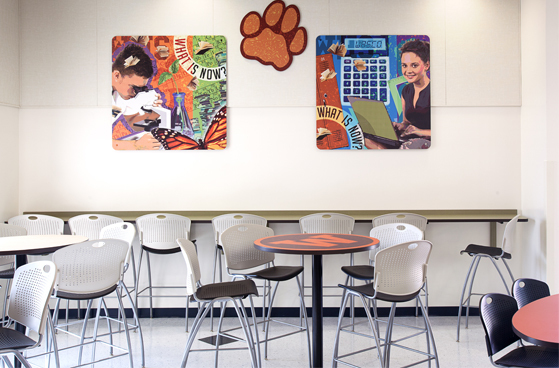 No matter which kind of look or image you wish to convey, Sierra School Equipment has the right kind of reception furniture to meet your exact needs. 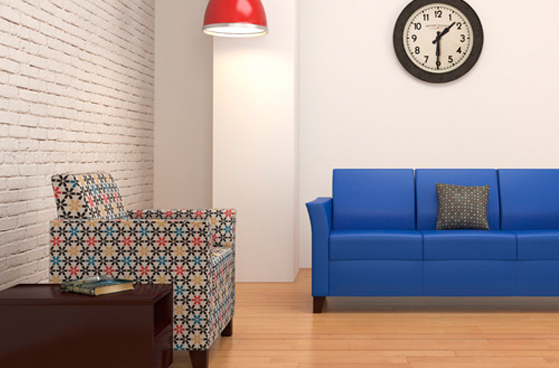 We offer a range of furniture in many different designs, colors and finishes. Contact us today to let us know what it is you are seeking, and we can do the rest. We will make certain that you get the kind of reception furniture that will convey your message. 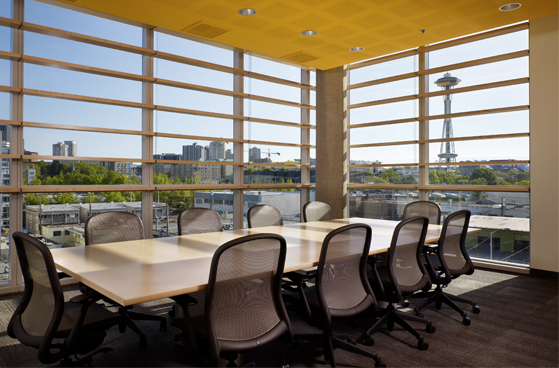 Conference rooms stand as key decision making areas. Sierra School Equipment can provide you with a variety of exceptional and versatile options that meet your organization’s atmosphere. We offer a full range of tables of various sizes and made from a multitude of different materials including granite, steel, concrete, and etched glass. 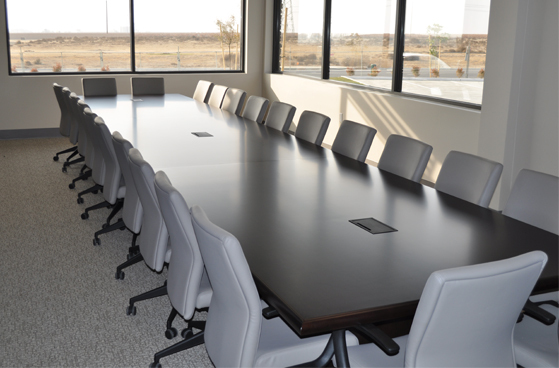 Whether you need a round table for small groups or a 24 ft X 4 ft rectangular wide table for large group meetings, we can meet your needs. We also can provide table dimensions for all sizes in between and shapes including racetrack, square, round and rectangular. Table top finishes include everything from mahogany and oak to granite and marble as well as colored laminate, and we also provide a variety of leg finishes including chrome, aluminum, and veneer. In addition, we offer tables that are provided with power and data so you can conveniently plug in computers, monitors, projectors and more. 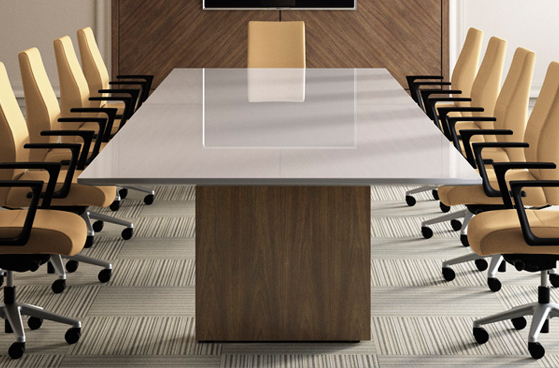 Storage credenzas, audio visual boards, mounts for flat screen monitors and a range of cabinets are all available add to the functionality to your conference room. 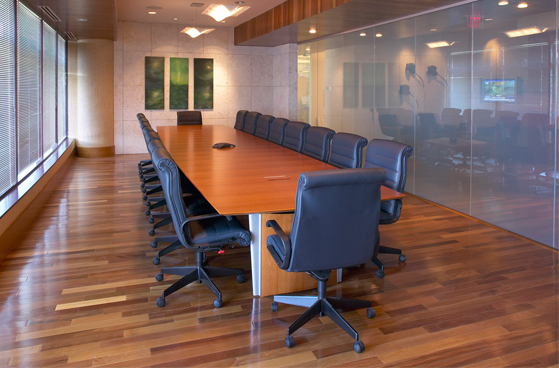 Please contact us today to learn how we can provide you with the exact conference room solutions for your company. 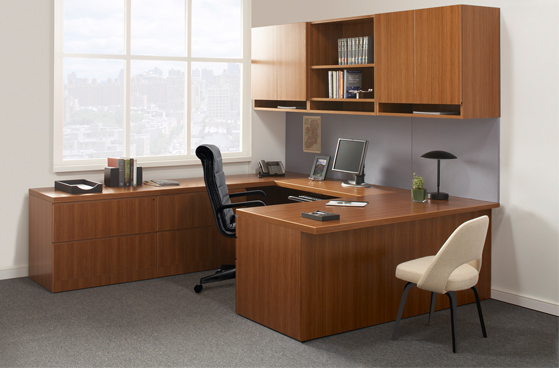 System/modular furniture offers exceptional diversity for the modern work environment. 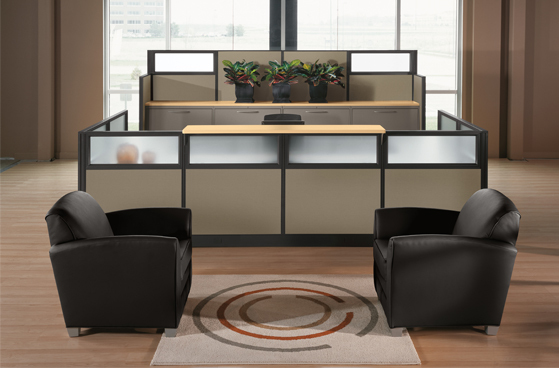 There are many different options available, including system/modular furniture options that have quick installation times and are highly durable yet provide the optimal mobility and flexibility that today’s office personnel requires. While steel construction is common in contemporary system/modular furniture, we also provide opportunity to incorporate natural materials as well, such as wood trim and tile inserts available in wide array of different veneer species or glass. 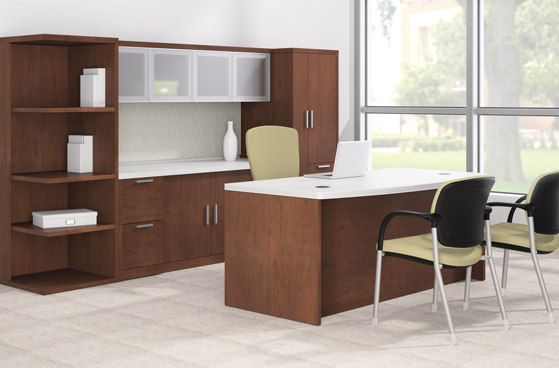 Additionally, we offer a variety of different options in our furniture systems including dozens of high-impact laminate options, a vast selection of attractive designer colors and hundreds of fabric options. 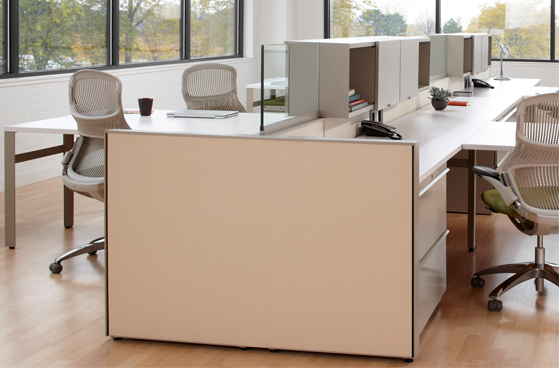 Regardless of the look you seek, system/modular furniture can be designed with an open atmosphere using counter height panels or a more private setting using 64” to ceiling height panels and can be customized to a variety of different looks per your request. 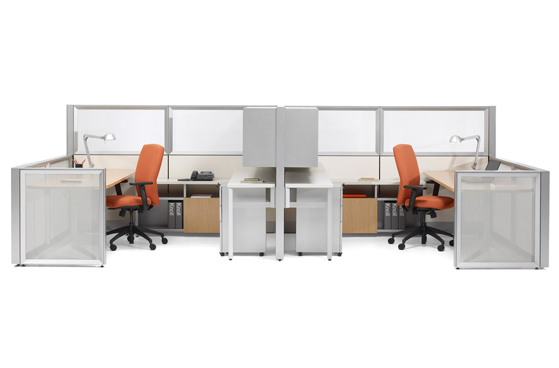 Systems furniture is perfect for collaborative workspaces and can use linkable screens and panels to provide greater privacy. 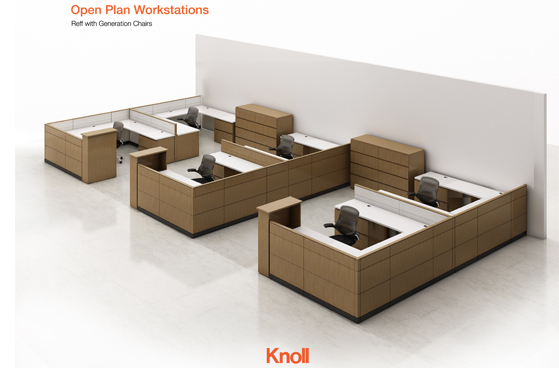 Through our system/modular furniture options, we can help you assemble and install the exact kind of workspace that is perfect for your needs. The modular nature of these offerings means that your company will benefit from a high level of customization and flexibility. 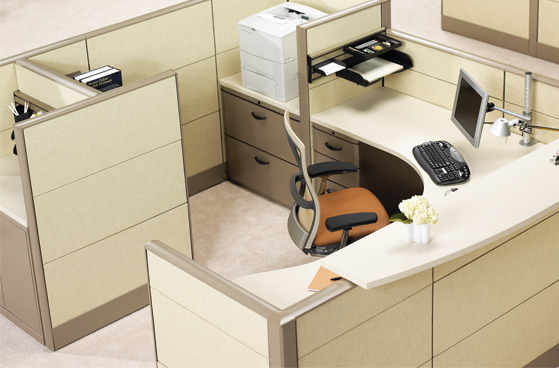 Sierra School Equipment provides beautiful and highly functional office furniture that can meet any corporate need. 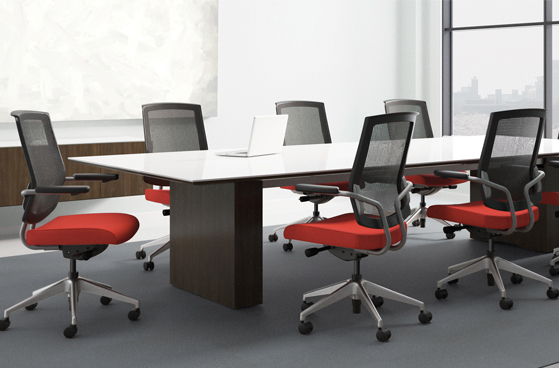 Whether you are in an academic or business environment, we can assist you to select the best private office furniture at a wide variety of price points. Private office spaces can often be complex and, as a result, they need the kind of experience that Sierra School Equipment brings, quite literally, to the table. This is why we offer a range of desks, credenzas, overhead cabinets, file cabinets and other vital elements that are perfectly suited for supervisors, executives and managers. In the end, we want you to have a first-rate private office that meets your expectations and takes your work performance to the next level. 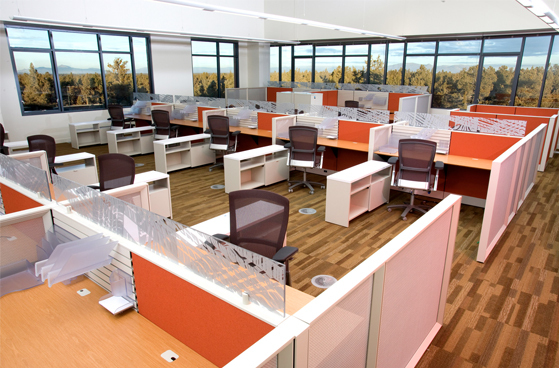 We offer high end construction elements ergonomic chairs, hinged and sliding door cabinets, steel construction pedestals and more. Desks are available in your choice of designer colors as well as a wide choice of fabrics, finishes and high-impact laminates. 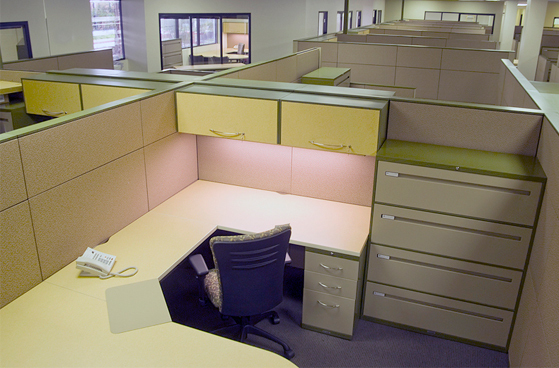 We know that you spend quite a bit of time in your office, so we understand that you may want customizable options. 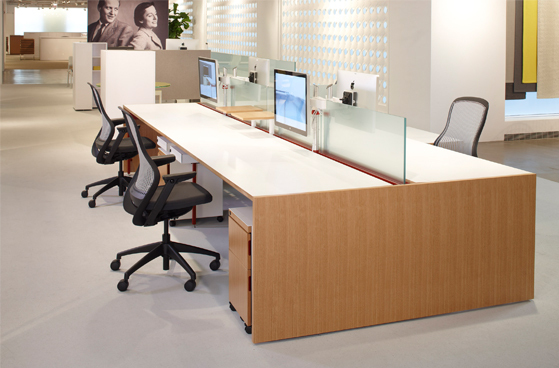 Our desk options can be configured to accommodate both your office needs and the practicalities of your specific space. 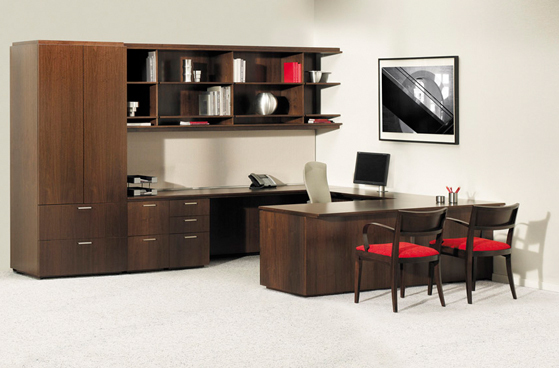 Please contact us today to learn about the different private office furniture options that we have available. Training rooms need to be versatile so that they can adapt to a range of different applications. We at Sierra School Equipment have kept this fact firmly fixed in our minds with our training room furniture. As a result, we are able to offer items specifically designed to meet a range of different training needs and requirements. 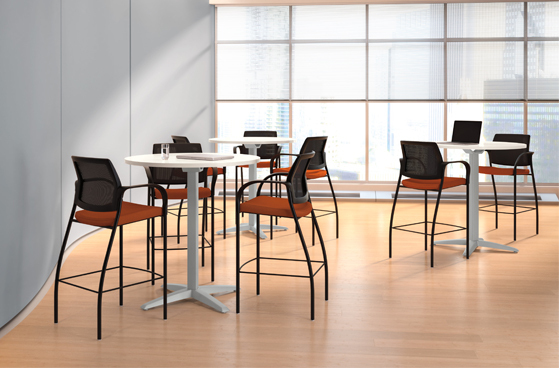 Some of the different and highly-functional options that we have available include durable and comfortable stacking, folding, or mobile chairs. Tables are modular, mobile, folding or portable to configure a room in a variety of ways to form a U-shaped table, one (1) large rectangular table and classroom style where everyone faces forward. Customizations include: tops which can be flipped for storage, nesting tables and chairs, and furniture with built-in power and data. 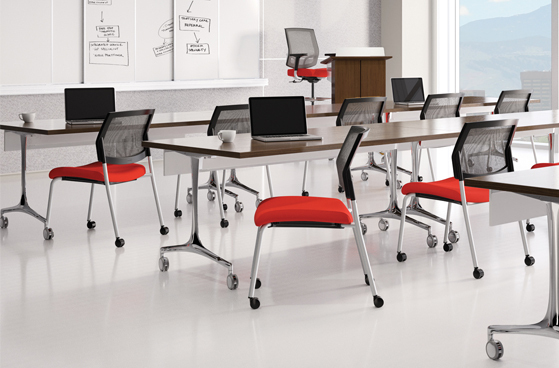 Our training room furniture is designed to give you a wide-range of choices. 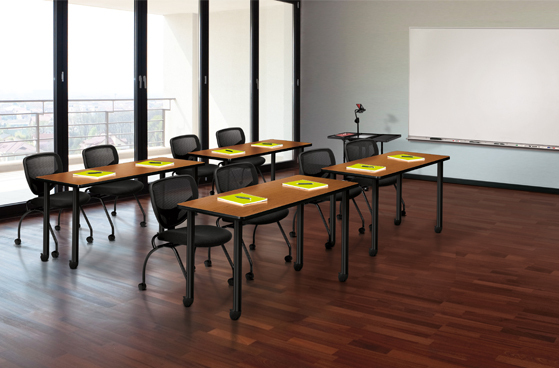 For example, we can offer many different color bases and laminate finishes so that you are ensured training room furniture that is perfect for your own unique learning environment. We can also provide the presentation tools you need including easels, visual boards and lecterns. 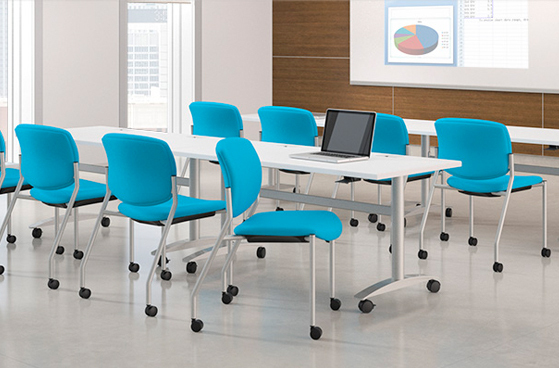 Meeting your price point and offering highly durable training room furniture is our goal. 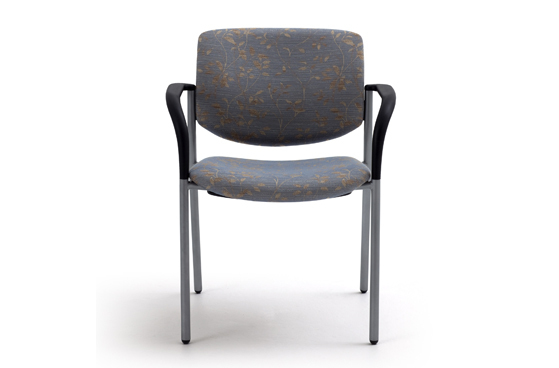 We realize that your training room furniture must be durable and may need to be moved or stored away. When you select the best furniture for your training room environments, it greatly assists with improved learning and collaboration. The proper sorting and categorizing of information is of vital importance for every organization. This is why Sierra School Equipment has taken great care in the selection of our filing and shelving equipment. 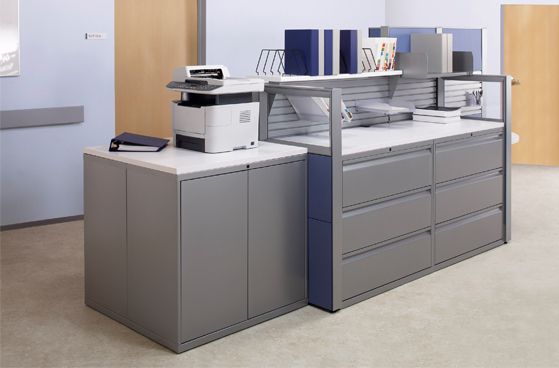 Our goal is to give you durable, filing and shelving equipment that is designed to also give you freedom and flexibility. 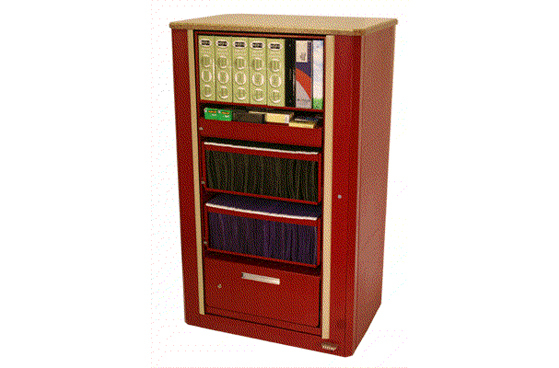 Just a few of the different options we have available include traditional file cabinets, lateral files, vertical files, pedestals, static shelving systems and X-ray storage. Through modern, dynamic options like rotary or mobile file systems, your office environment can implement storage solutions that use up to 50% less space. 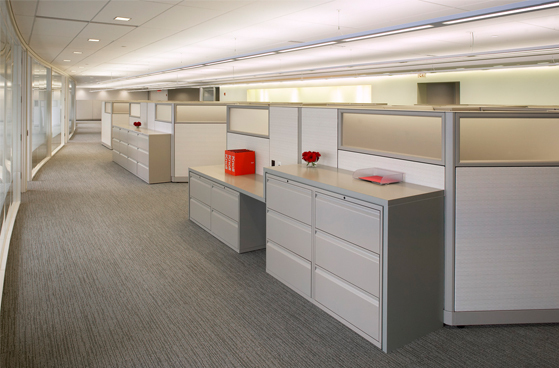 Our filing and shelving solutions are designed to accommodate the needs of virtually any organization, ranging from large corporations, professional firms and schools, to universities, banks and governmental organizations. As a result, we can help you choose the perfect filing and shelving equipment solution for your materials and space requirements. 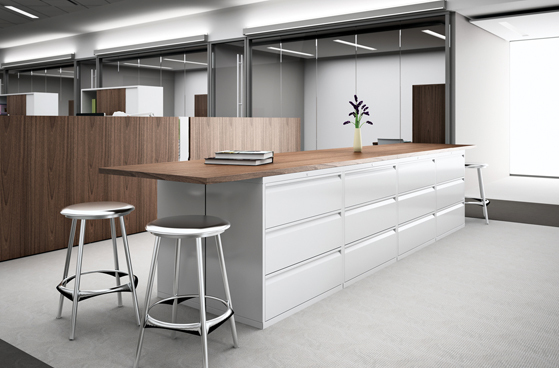 Our filing and shelving furniture offerings come in different materials, such as metal, wood and an array of different colors, finishes and laminates. 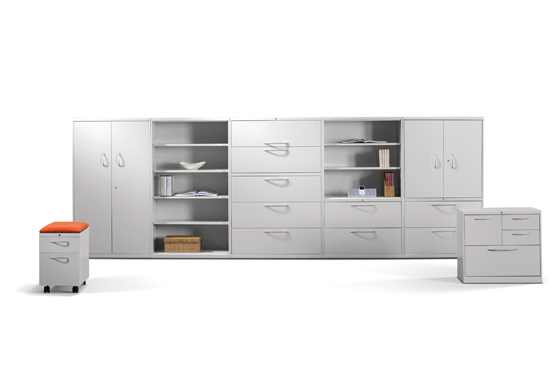 As always, you can depend upon Sierra School Equipment to provide you with the highest quality in office furniture, and our filing and shelving furniture offerings are no different. We can offer super grade-A steel filing and storage solutions, which are built to last and stand up the toughest challenges. 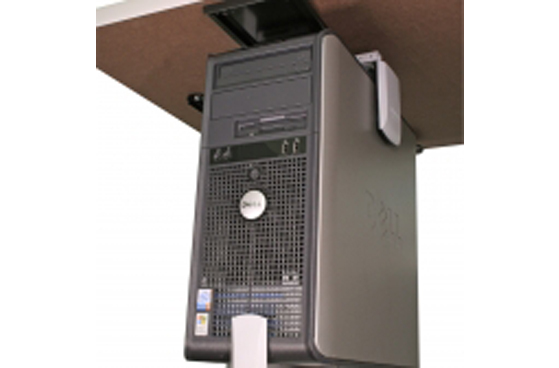 Additionally, we have portable pedestal filing systems, systems perfect for library use and textbook storage, compact storage systems that rotate, multimedia storage perfect for DVD, CDs, binders and more. 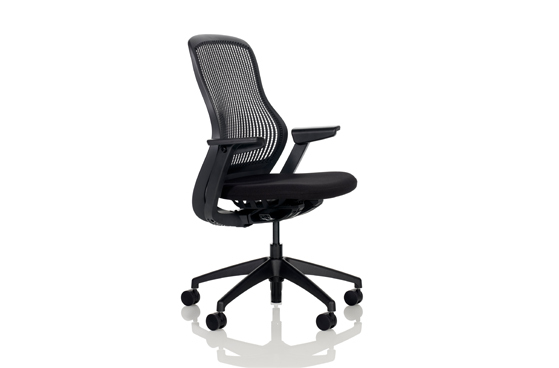 Ask anyone who spends a good deal of time behind a desk about the importance of a high-quality and comfortable desk chair, and you will no doubt hear an earful. 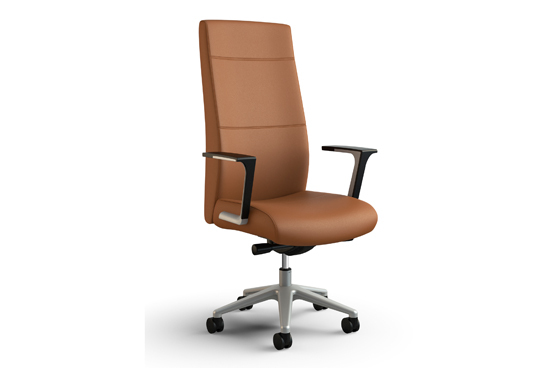 Comfortable and durable seating is not just about comfort, it is also about the productivity of your organization. 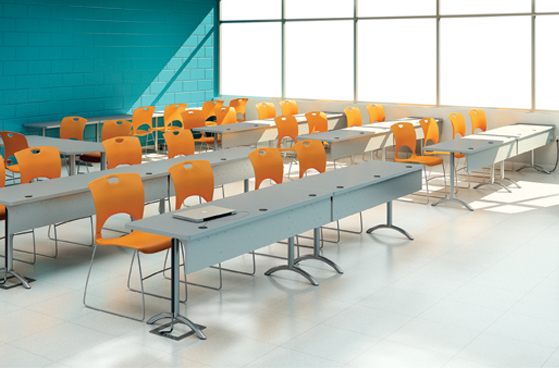 This is why Sierra School Equipment has long striven to offer state-of-the art, comfortable office seating at price points to meet every budget. 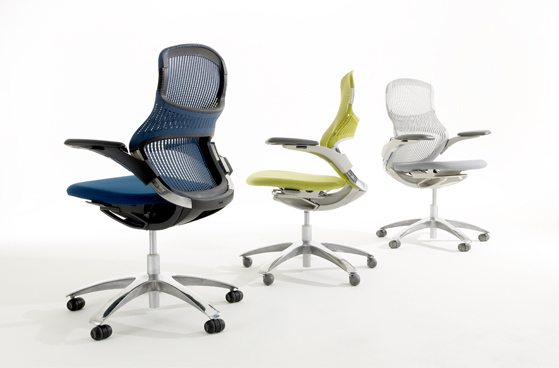 What makes our office seating so fantastic? 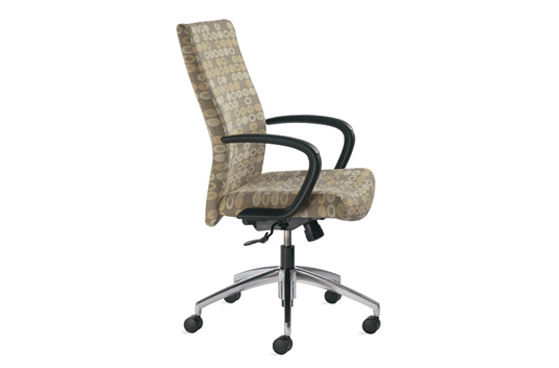 Whether it is guest chairs for workstations or office chairs for your organization’s employees, we offer seating that treats ergonomics with the attention it deserves. 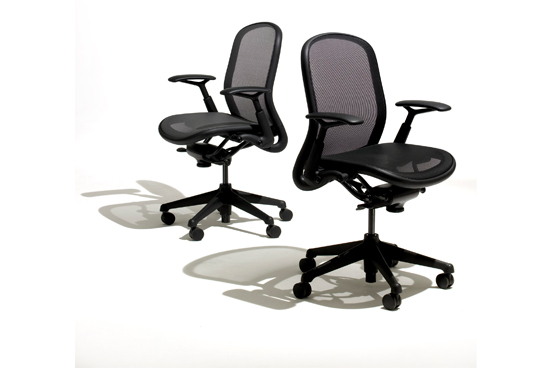 This means that our office chairs focus on great lumbar support and ease of movement. 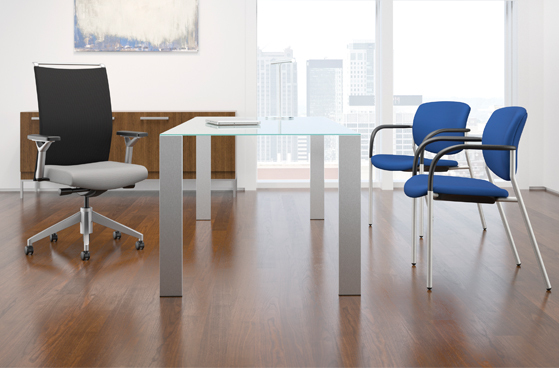 There is no doubt that office workers deal with day-to-day physical pressures, such as staying seated for long durations of time, which is why our offerings include designs that consider the importance of good circulation. 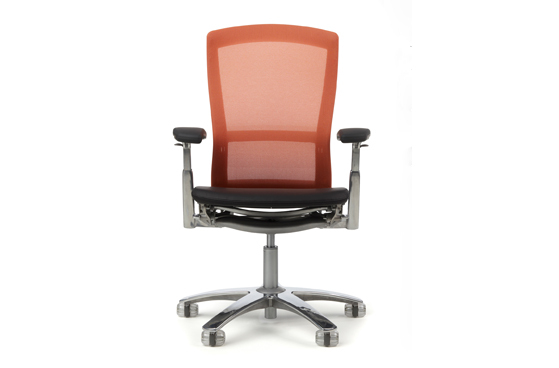 No matter what kind of office chair you are looking for, our company has you covered. Material options range from plastic and mesh to leather and vinyl. 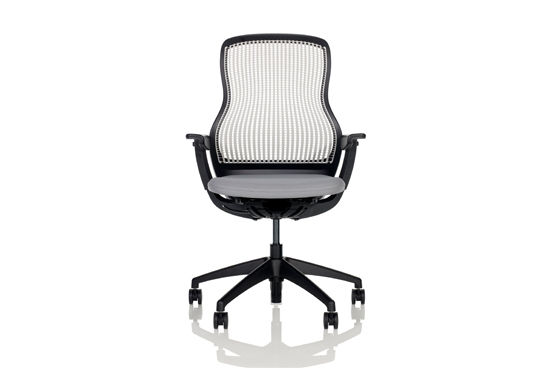 Comfortable memory-foam and ballistic nylon are just two of the many different, high-quality materials that go into our office chairs. Regardless of what material you select, you can be sure of one fact: our chairs are very comfortable and are built to last. Sierra School Equipment is proud to offer a thoughtful array of ergonomic accessories that are well suited for the modern office environment. 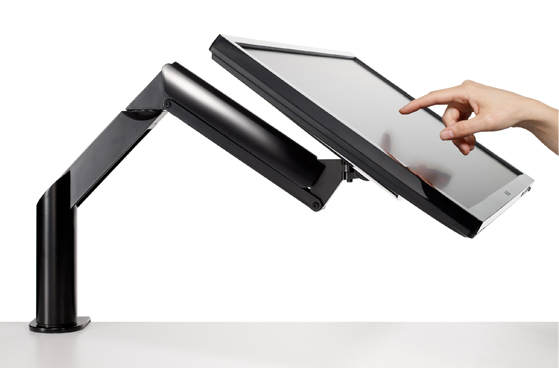 Great, high-quality ergonomic accessories, such as adjustable keyboard platforms, LED task lighting and monitor arms, can make a substantial difference in the productivity of everyone in your organization. Adjustable keyboard mechanisms are great for reducing stress on necks and are beneficial in helping to reduce the risk of carpal tunnel syndrome as well. 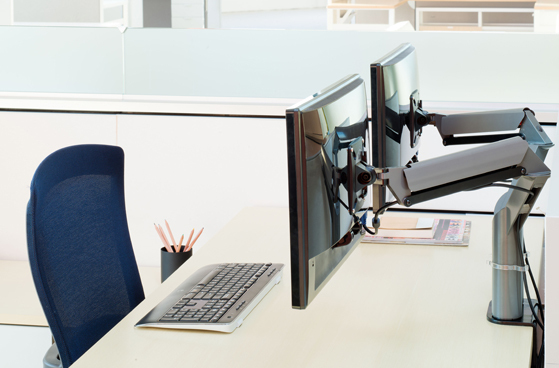 Adjustable monitor arms can help increase productivity, as they allow for the easy adjustment and repositioning of monitors. This can aid employees and workers to reduce their eye-fatigue and neck strain as well as help them utilize their desk space in a more effective fashion. 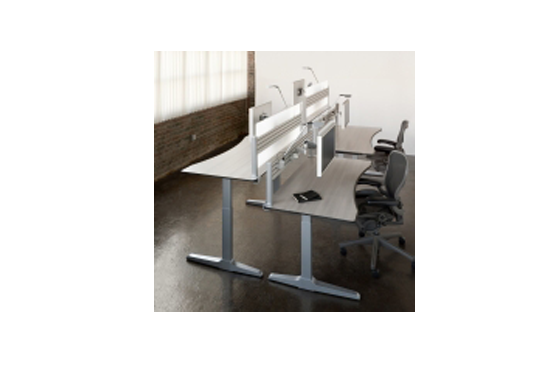 Likewise, we also offer adjustable height work centers and keyboard platforms. 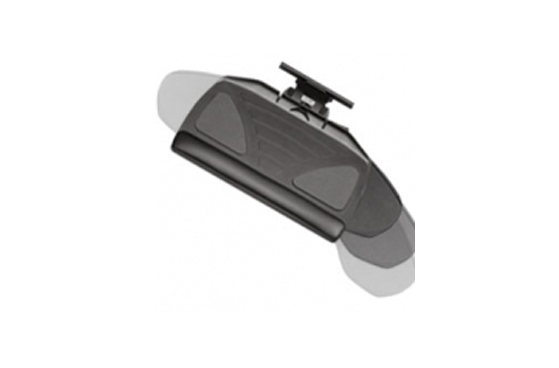 Sierra School Equipment’s ergonomic accessories are geared towards making your life easier and more productive. While the right desks and chairs are essential for a productive work environment, the same most certainly holds true for selecting the right ergonomic accessories. 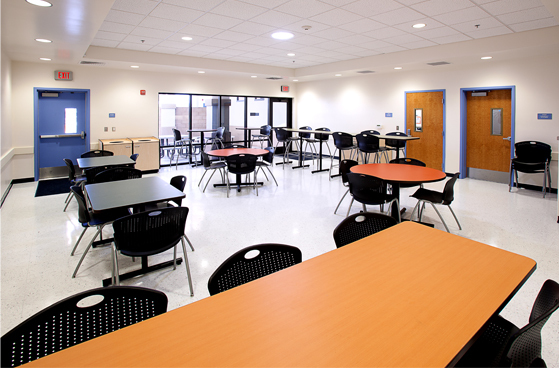 Sierra School Equipment offers a wide assortment of break room furniture designed to fill a host of requirements. 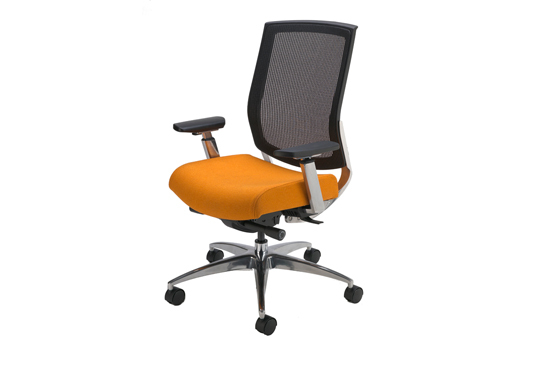 Our selections are designed to be fun and functional to assist office workers who are enjoying a little down time. As always, our focus is on meeting a range of customization needs and price points. Having the right sized tables for your space is, of course, a must. 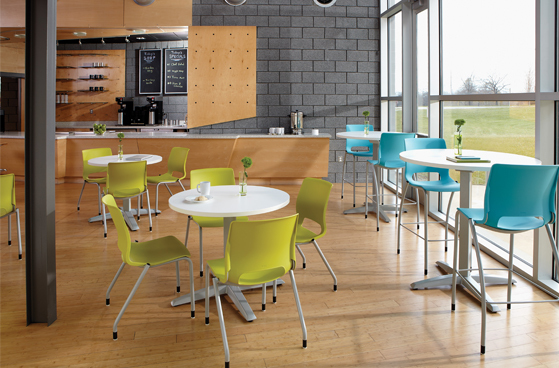 Cafe tables come in both square and round shapes and can be matched with a variety of different colorful chair options. 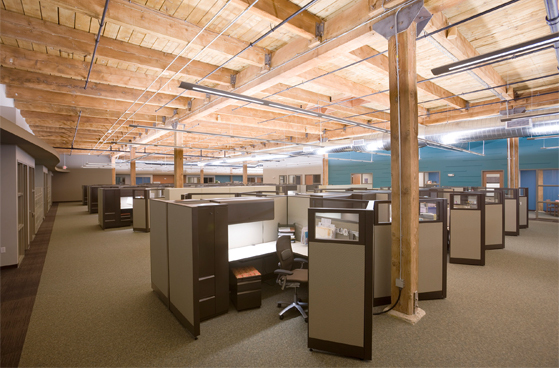 We allow for your choice of numerous sizes and styles including various metals and laminates. Additionally, stacking chairs and plastic shelves are available and make for a perfect fit for any office kitchen. Many companies have integrated our customizable workstations into their break rooms to enable employees to surf the web during lunch hour. 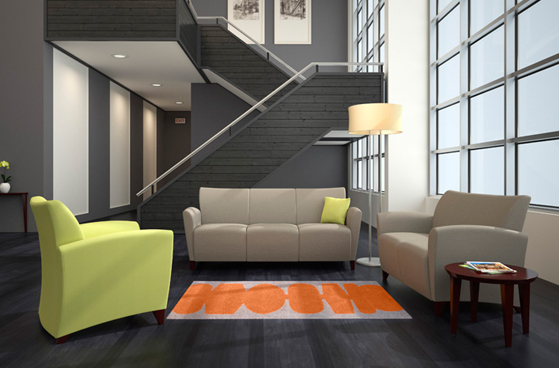 Break rooms can be outfitted with comfortable sofas for optimal relaxation.